Wilson (Niagara IceDogs) vs. Thorne (Brampton Battalion), Oct.29, 2010. Theoret of the Niagara IceDogs vs. Maylsa of the Plymouth Whalers. Oct.28, 2010. Niagara IceDogs' Theoret vs. Barrie Colts' Bennet, OHL hockey fight, Saturday Oct.23, 2010 @ Barrie. Dogs vs. Generals in an almost full-out team brawl. Strome fights Hope, Niagara IceDogs vs. Oshawa Generals, Oct.16, 2010. Wilson of the Niagara IceDogs vs. Foligno of the Sudbury Wolves. Oct.8, 2010. 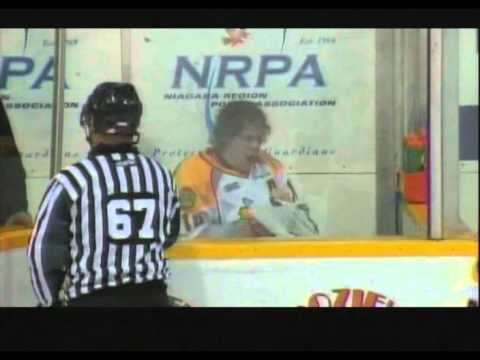 OHL hockey fight. Video brightened from poor quality and dark source. Dougie and Freddie Hamilton fighting on ice at same time vs. Sudbury - Sep.24, 2010 @ Sudbury. Niagara IceDogs vs. Sudbury Wolves in season opener. Numerous players fighting after a couple heavy hits. Agozzino of the Niagara IceDogs vs. Hodgson of the Brampton Battalion, March 4, 2010. 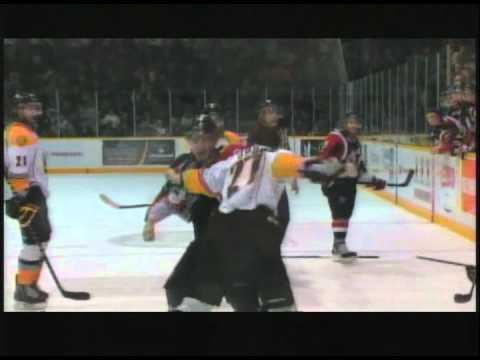 OHL hockey fight @ Niagara.